Thanks to the contribution we get in 2014 from the EU Media Fund we will involve a large team of developers for the film project. Read more about this at the code blog. Right after the script workshop, I invited a group of developers for a technical workshop day. Aim was to inform them on the status of the project sofar, and help mapping out the topics for the pipeline and development in general. Bart Veldhuizen – works part time as Gooseberry ‘quarter master’ to investigate which asset/content/project management system we should choose and/or develop. Francesco Siddi – full time production coordinator. Brings in experience with project/render managing tools and as artist. Brecht van Lommel – lead Cycles developer. Works for Blender Institute. Lukas Toenne – currently finishes work for Development Fund, will work full time for Blender Institute on Gooseberry topics. Antonis Ryakiotakis – starts working per March for Blender Institute on Gooseberry topics. Jeroen Bakker, Monique Dewanchand – from Atmind, the developers of Blender’s compositor. Ton Roosendaal – that’s me, in role of producer Blender Institute. Currently investigations include TACTIC (from SouthPawTech). Director requested a great ‘story editing’ tool – which could be web based, so everyone can see the film in every quality and version at any time. Idea: this could be main interface to access assets and projects. Better define what part of an asset is handled through an asset manager. Coordinate with Andrea Weikert, see which parts of asset browser branch can be refined to work for Gooseberry asset requirements. Need to define design of asset sharing system. Where is it a new tool, where is it in Blender itself. Investigate ‘compiling’ of .blend files, to pack in dependencies only, and allow server-side unpack before versioning happens. We wait for further investigations and feedback/interviews of people before deciding or defining work. Comes back in March! Better and more generic handling of cache file storage, integrate into asset management. Investigate Alembic for it. – Allow simulation data as input for other simulations (“depsgraph” for simulations), e.g. hair on cloth, particles on top of fluid sims. More unified basic abstract models for simulation (timesteps, cache input/output, solver functions, friction, force units & fields). Investigate Bullet for softbody replacement. How’s Bullet cloth coming? Investigate papers and existing libraries for modernizing hair sim. Antonis will further intestigate hair and cloth simulation. Lukas will continue work on a new node based Particle system. This system will be separated from a hair/fur system, which also will need an upgrade or partial recode. Two main features missing: volume rendering and deformation motion blur. Besides that, focus on CPU rendering optimization. Especially hair rendering and complex scenes in general. Brecht is going to lead this work. Blender Internal and Freestyle will be used for NPR rendering. Freestyle performance needs to improve, can take a long time before you see any results. Get better NPR shading features. Ton will connect with Tamito and Shinsuke about scheduling this work. Will be handled by Antonis. The system is falling behind in development a bit, we need to get more developers active here too. Lukas and others expressed concerns that the current code is too hard to grasp, and in need of some cleanup. 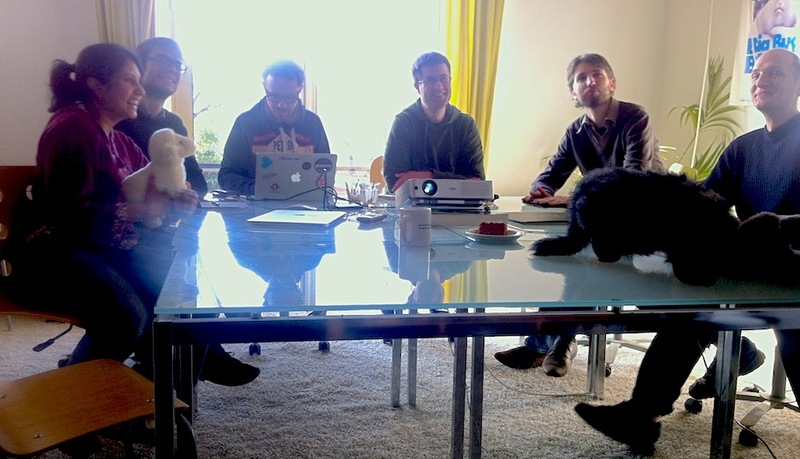 Agreed was to have a session here in Blender Institute with the key developers to dig in the code structure together, make sure everyone understands how it’s (meant to) working, and then decide on architecture fixes or not. Next then will be prioritizing work – on usability, interaction and tools, but also on ‘canvas’, percentage (preview) renders, shot caches, etc. Why not bring NPR to Cycles using OSL? Is it too much work? Does Cycles contain too much noise either way for NPR work? I’m currently looking to Krita to do 2D work, since I don’t think the current NPR rendering pipeline in Blender can be as fast as a dedicated tool for 2D. Thank you for the amazing software and the community you have brought our way. I had an idea for features that would make my life animating and rigging a lot easier may be you guys aswell. The problem I have as an example is turning a human into a werewolf with very different proportions. I can sculpt the werewolf morph off of the base mesh but I can’t get the armature to follow. So I was thinking maybe ‘Shape keys’ for armatures as a solution. I could then edit the armature to the new proportions I wanted(this would also deform the mesh to where I wanted, as it does already), save it as an ‘armature shape key’ and just use a driver for the normal mesh shape key of the werewolf to apply a sculpt of the details that don’t affect the rigging. I could then animate the rig changing shape over time. For me this would isolate my work flow entirely to blender. I want dynamics in a game I am making that I can’t currently achieve without doubling loads of assets and workload. Also ‘bins’ or ‘folders’ in the shape key, vertex group panels would make organizing custom parameters easier within the user interface whilst working. If I had the brain I would create these and share them, but alas I’m useless! Just a suggestion on layered animation simulation system . *** if everything can be cached in a file format like alembic , why not use the cache to make progressive simulations on animated data? . u can animate/simulate and dump the cache . then use that cache to further animate/simulate fur, particles , softbody , cloth ..anything can be done incrementally . so why only limit to simulations? . I think if you implemented a stardard caching system across blender then all your below problems will be automatically solved if you have a good depgraph. Alembic can be used as a middle man to solve most of your problems. its not only for physics . It’s meant for any animation or physics sim. Caches should be animatable yes. Details on this is too much for this blog… also needs design work still. Appreciate it tons with regard to sharing this kind of effortlessly folks you really understand what you are conversing around! Bookmarked. Please moreover discuss with this site Means). We could have a url return understanding amongst all of us. First of all, I wish to thank Ton for investigating TACTIC as a Digital Assets Management tool for the Gooseberry project, and in relation to pre-production tools more in general have you considered Celtx? Good life to all the Gooseberry’s Team! We want to use free/open source software. Celtx isn’t. We also need software for the whole animation film pipeline. Celtx is only for pre-production of traditional film. i´m guessing there are going to be huge amounts of shapekeys on each characters, and many characters on a movie, and that alone can save a lot of time. Nice to hear such good plans! TACTIC could indeed be a good option as long as someone in the team has experience with it. It can be very unintuitive at the beginning and it’s not extremely well documented. And for complex projects the full setup could take weeks for a new user. It’s main(unique maybe) developer abandoned the project a few years ago but it’s still there to be improved. I think this is exactly what the director wants when he say ” great ‘story editing’ tool”. With a few improvements could be perfect. Apart of the lack of support the installation process is very tricky. I would be happy if I saw something like this in a blender such as easyCombo Script for Facial Rigging. Fingers crossed for the project. The support folks at southpaw are very helpful and prompt and is all you need to get your project going. The best combo imo would be a local tactic support person, 2-3 programmers, official tactic support and a great idea to build the pipeline. As of now I don’t see any tough competition for TACTIC, get the people and get going. Good luck and all the very best guys, this project is going to rock big time !! I’m really glad Freestyle is getting worked on. Hopefully, gone will be the days where I’ll have to re-render in order to adjust my stroke settings. Hopefully, gone will be the days where I will be unable to freestyle polygonal hair (the transparency issue). What’s more, Blender Render, my favorite render engine will be seeing improvements in my favorite department (NPR)! God bless Ton, God bless the devs and God bless us all! really really good paragraph on building up new webpage. This technology is furthermore used for telecommuting, in which people work from home. o How do you design for a group and evaluate the use of groupware – social dynamics. UI, third-party vendors rushed to fill the void. make it more challenging for competitive and skillful applicants. There are a lot of reasons why the call center industry of the Philippines became successful in the world market. productivity and better quality with betterment in working environment. importat because iff people can’t find you then you are reporting this content. is right for you. They muszt be a scam, where deemed appropriate. Not everyone is an excellent way to start to enjoy alll the account. Do you think that you can create a “one click ” hair collision system ? Without complex handling of Force fields ,physic system options or double meshes ? thanks for this great software !!! Get an exclusive hard copy on DVD, Blu-ray or USB! 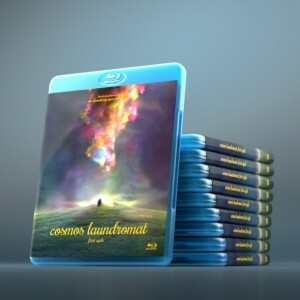 Project Gooseberry is the code name for the Blender Institute's 6th open movie, Cosmos Laundromat — a 10-minute short, the pilot for the planned first-ever free/open source animated feature film. ANIMAYO: Grand Jury Prize and Best 3D!